You can earn 380 Ocelco Cash Reward Points on this product! VIPER PLUS GT weighs under 32 lbs. (Excluding front rigging). Easier to propel and transport than a standard weight chair. 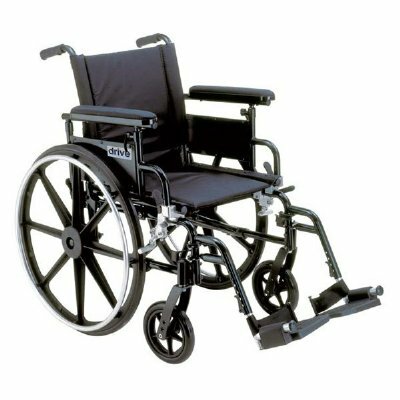 Back height adjusts from 15" – 21" in 2" increments, providing added patient comfort and versatility. Front caster forks have 3 height adjustments and angle adjustability. Standard 3 position quick release axle provides easy transition of seat height. Composite footplates are durable, lightweight and tool free height adjustable. Adjustable anti-tipper with wheels flip up. Never needs to be removed.